By Atomia , on 27.3.2012. We are back in our offices in Sweden and Serbia after a great week at Europa Park in Rust, Germany. Attending this year’s World Hosting Days gave us the chance to meet our partners and clients and to make some great new contacts, too. 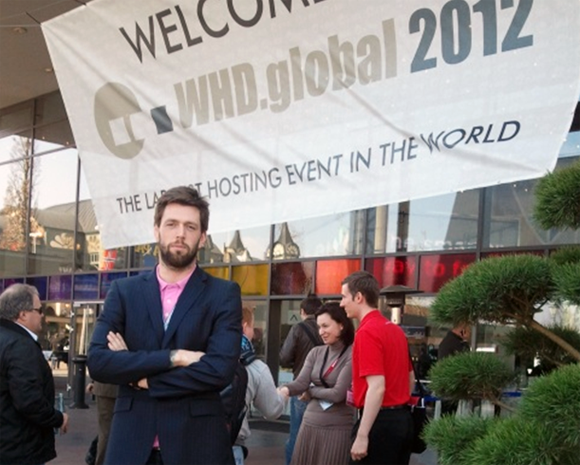 We took a look at what’s new in the hosting business and held a session about DNSSEC. Images and more after the break! By Atomia , on 6.3.2012. A few days back we published a blog post on how to get started with C# and Atomia DNS. Today, we will do a similar blog post for the very popular script language PHP. Code example after the break. By Atomia , on 5.3.2012. The interest for Atomia DNS (our open source DNS management system) has exceeded our expectations and last Friday we decided to give the community a chance to play around with it without actually installing it. AtomiaDNS.net is a free to use DNS service, it is fully functional and you can use the Atomia DNS Web App to manage your domain names or connect to the API using CURL, the Atomia DNS command line client or your homebrewed application. I built one myself in C# this weekend and wrote a blog post with some tips on how to get started. We have no intention of making profit on this service, therefor we cannot guarantee the perfect up-time or availability, we will, however, do our best to give you a great experience of our software. It is really easy to get started with the service; head over to http://atomiadns.com/demo and sign up for an account. It takes less than 30 seconds to get started! Also, check out our quick guide to AtomiaDNS.net at: http://atomiadns.com/quick-guide. By Atomia , on 4.3.2012. Last Friday, we opened the doors to AtomiaDNS.net, a playground for those who want to test Atomia DNS without installing it. It is a free, fully functional DNS service without any guarantees in terms of up-time or availability. Atomia DNS is written in Perl and the control panel (Atomia DNS Web App) is written in Node.js, you can, however, use the programming language of your choice to talk to Atomia DNS. In this blog post I will share a few tips on how to get started in C# and .Net. Code examples can be found after the break.